Jealous of the green monsters at Fenway the Phillies trotted out two of their own emerald entities. Lou Ferrigno, who is 61 years old, still flaunts a physique outshining men half his age. 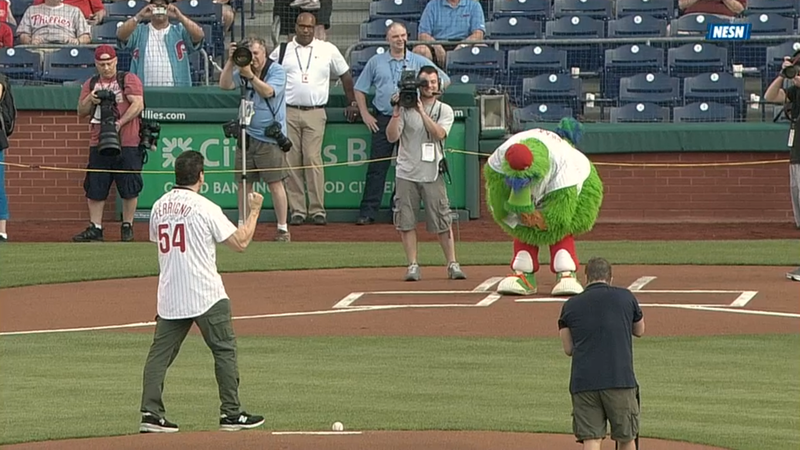 As always the Phanatic was part of the shenanigans. The boisterous beryl beast was outshone by David Ross, who does a mean lip sync of Shania Twain’s “Man! I Feel Like a Woman.” His prerogative is to have a little fun, oh oh oh oh. The interleague triad of Stephen Drew, Dustin Pedroia, and David Ortiz combined for a double play to end the fourth. 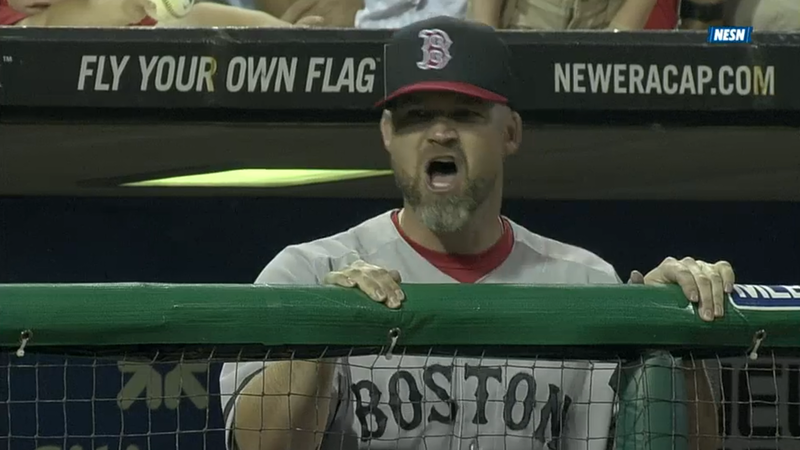 Erik Kratz knocked the ball towards Drew, who quickly flipped to Pedroia. 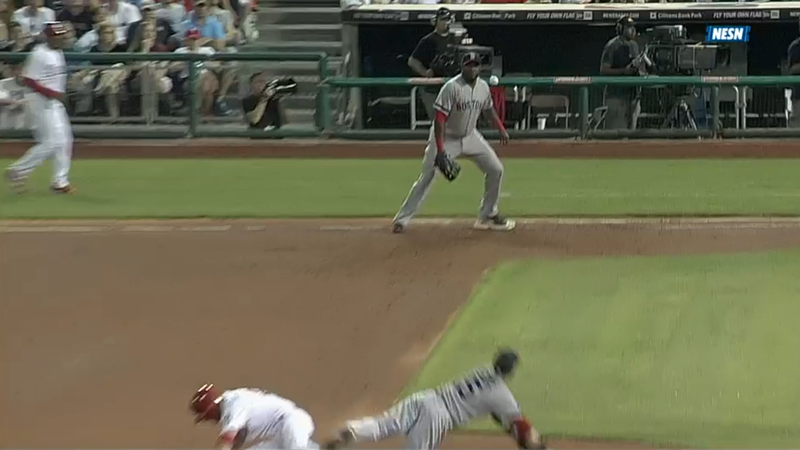 Pedroia avoided the oncoming rush of Kevin Frandsen to relay to Ortiz. The slugger impressively stretched to complete the play. In the eighth inning Jacoby Ellsbury broke the franchise record for most stolen bases in a game. He swiped second off Michael Stutes, who will have the honor of being the answer to a trivia question. Ellsbury proceeded to third base when Kratz (who will be bonus points in said trivia contest) threw the ball away into center. The record came at the cost of a tight groin, however, and scratched the center fielder from the series opener against the Yankees.